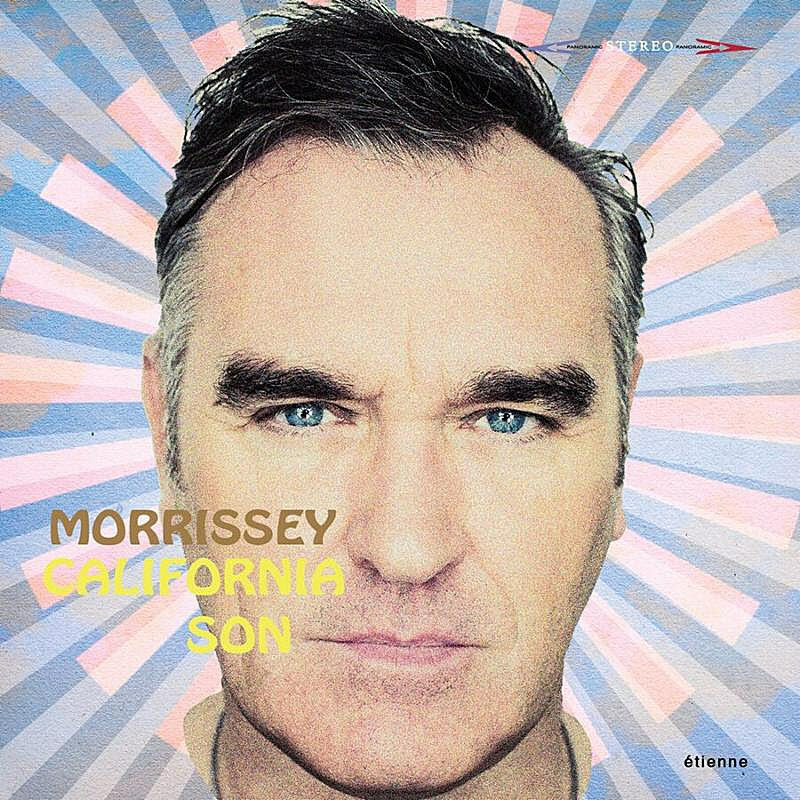 Morrissey has detailed his new all-covers album, California Son, which is out May 24 via Etienne/BMG. That’s the cover art above. Produced once again by Joe Chiccarelli, the record also features a bunch of guest appearances, including Billie Joe Armstrong (Green Day), Ed Droste (Grizzly Bear), Sameer Gadhia (Young the Giant), Petra Haden (That Dog), Lydia Night (The Regrettes) and, on his cover of Roy Orbison’s “It’s Over,” singer-songwriter LP. “When I would think of Morrissey and his music it was always with great respect and appreciation as I’m sure is the case with many of his fans,” says LP of their collaboration. “However, I soon realized when I hung out with him and he played me all the songs he was putting on this record that behind this was the heart of an audiophile and a deep fan of his own musical heroes.” You can listen to “It’s Over,” which Morrissey does justice to (with some otherworldly vocals via LP), below. You can check out the full tracklist, which includes songs by Jobriath, Bob Dylan, Carly Simon, Jobriath, Buffy Sainte Marie, Phil Ochs, Laura Nyro, Joni Mitchell, and more, below. Morrissey just announced his first tour of Canada in over 15 years. All dates are listed below.